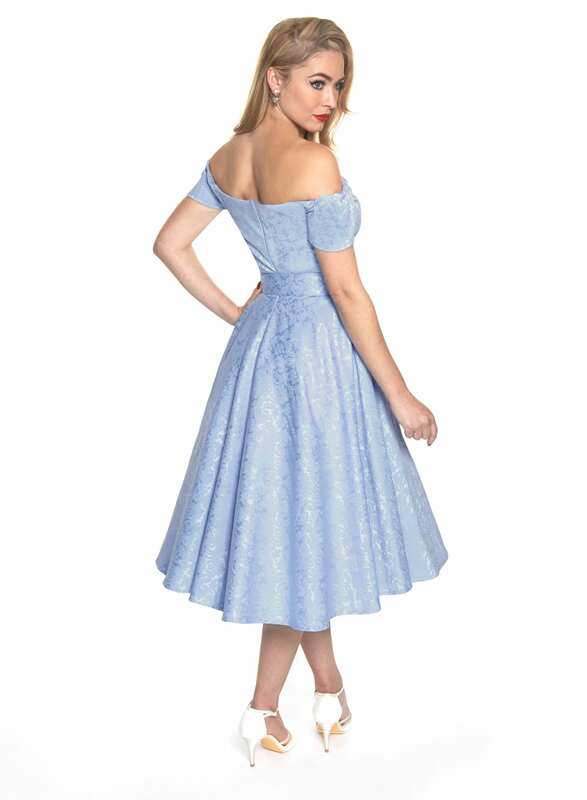 Something rather special for all those summer occasions, weddings and parties, our Dee Dee dress in this luxury Sky blue, stretch satin jacquard. 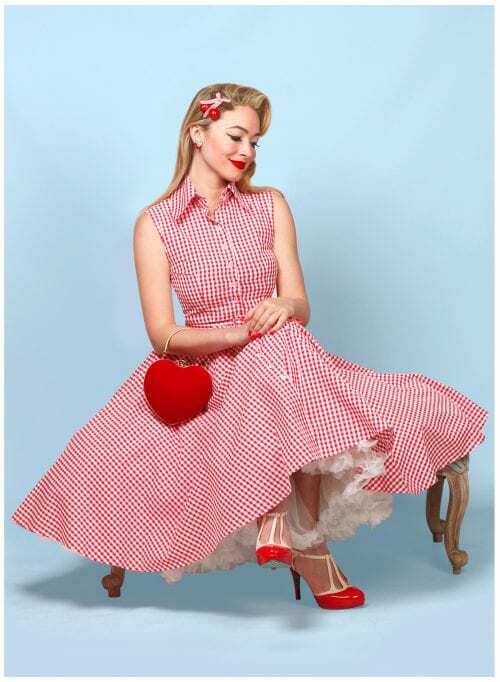 This dress has a satin lined & front boned bodice with a concealed zip at the back for smooth fit. 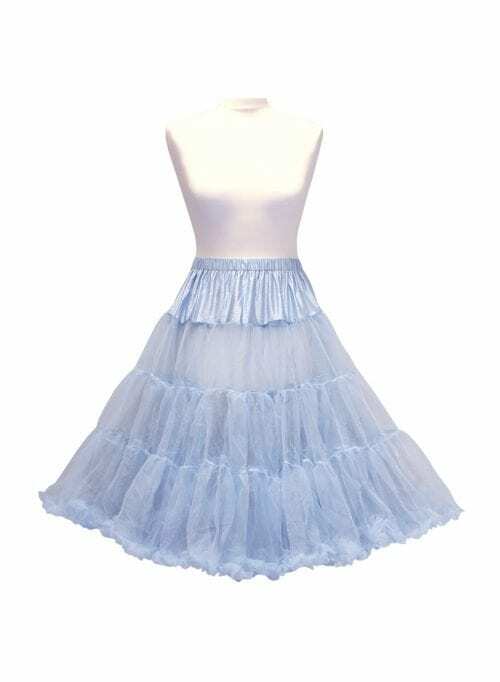 The full circle skirt section has lashings of fabric and looks great when worn with one of our fluffy Ivory or Baby blue petticoats underneath. This dress comes with a cute matching belt too. 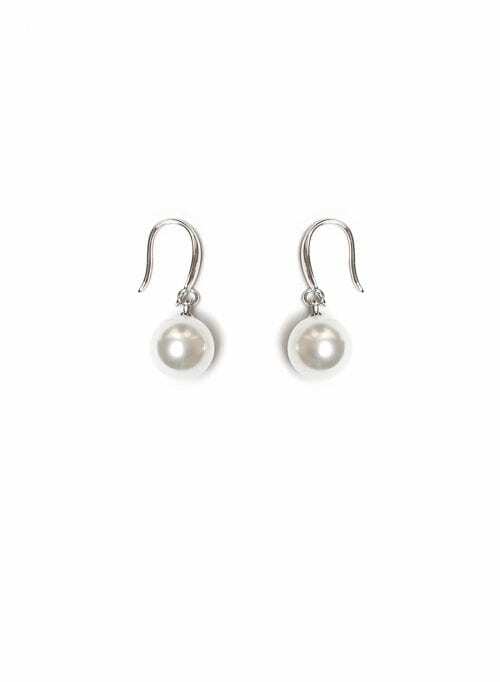 Accessorise with our Faux pearl drop earrings.